Kenya is an infamous African country known as greater horn of Africa. Kenya is also the largest economy in the eastern and central region of Africa. Having a large agricultural sector, Kenya is known for their tea and coffee export and fresh flowers are a fast-growing export. Even between the restless political and economic issues in and around Kenya, they manage to show a major progress in their economic and personal growth. There were many appreciate movements and inventions happened from Kenya which is praised by world leaders. Kenya also considered to be a growing African country with a lot of innovations and country is thriving to go pass their poverty and become in the list of a developed country. Being a country that surrounded by poverty for a long time, it will be a great achievement to come across all the obstacle and become a member of developed nations. Kenya considered to be a potential African country is also a potential client for our paver productions. Hence, we ensure that we have our experienced and skilled expert engineers and technicians available in Nairobi so that all the fabrication of machinery and paver production of plants support anywhere in east and central Africa. To keep up our standard of work and maintain quality in our production, we have provided a complete and effective know-how on paver productions and trained the productions workers for the best and quality commercial production. Having a strong base in Africa, Kenya is among the 10th African country where we established our cover block productions. The other countries we have our plants in Africa are Tanzania, Rwanda, Uganda, Somalia, Somaliland, Zambia, Malawi, Niger, and Nigeria. As we provide paver production all around the world, Africa is our strong base and our main showcase achievement. As we already mentioned Kenya is among the 10th African country where we established our paver plant. This plant in Nairobi is also considered to be a hub to provide our services anywhere in East and Central Africa. Hence we provide a complete manufacturing support from Nairobi to all over Kenya and further to Africa. 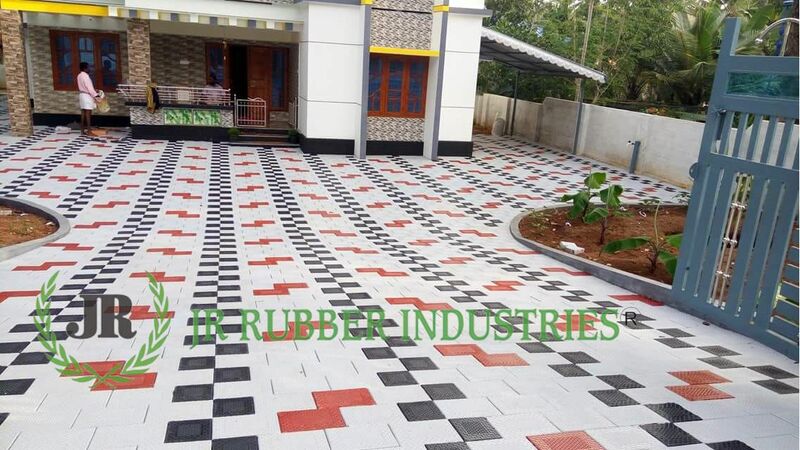 rubber block suppliers, PVC tile moulds, block mould, paver mould, etc are the few paver production services, we are providing from Nairobi. Here we are explaining a few of our major production and its making. 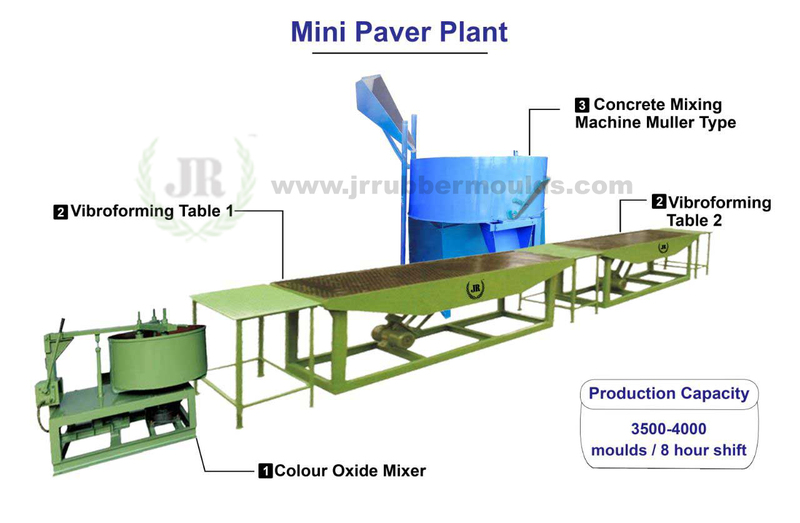 Mini Paver plant is paver/tile production which multitasking specifications. It is a high-performance paver plant with the capability of performing a large variety of task in the field. This plant has the capacity to build various level or pavers with a production capability of 3500-4000 moulds within a normal 8-hour shift. Have a balancing capacity of the 150kg batch with a total volume of 200-litre capacity. Semi paver plant used for the production of paver and tile production. This machine can offer a high performance and can handle multiple tasks at one time and it provides an option to produce different level of pavers pant with a capacity of 9000 to 10000 moulds/8 hour shift. The fully automatic machine is a great lifesaver for business as it reduces manpower and increases the efficiency by producing 25000 wet cast paver/day. Ist automatic paver creation will prevent the duplication and waste of material handling which confirms the right use of resources. This plant introduced for the first time in the world and this is the most renowned machinery manufacturer in India. Here are a few features of the fully automatic machine. JR rubber industries having an experience of 25 years and proved to be one of the best paver making company in the world. Even after 25 years, JR is standing on top and high in the field of paver creation. We have Mini, Semi, Fully automatic saver plant that provides an option to build the different level of moulds with high quality. All the moulds we create are of utmost quality and have a guaranteed lifespan of 12 to 15 years. 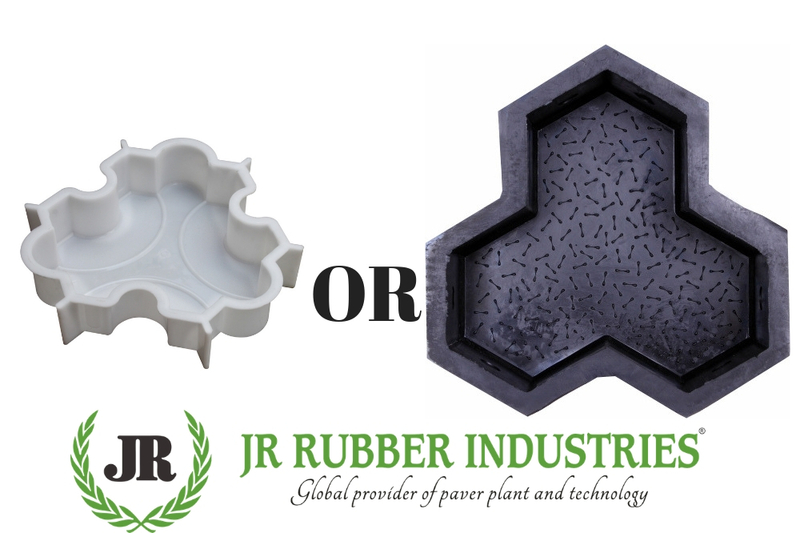 Here are some major points why to choose JR for paver mold production. Leveraging our refined manufacturing facility, we take up the challenge to design and develop a first-rate quality range of paver block making machines. Noted for their ideal performance and efficiency, these are highly used in construction industry. We offer different ranges in sizes and specifications to meet the motley requirements of clients. 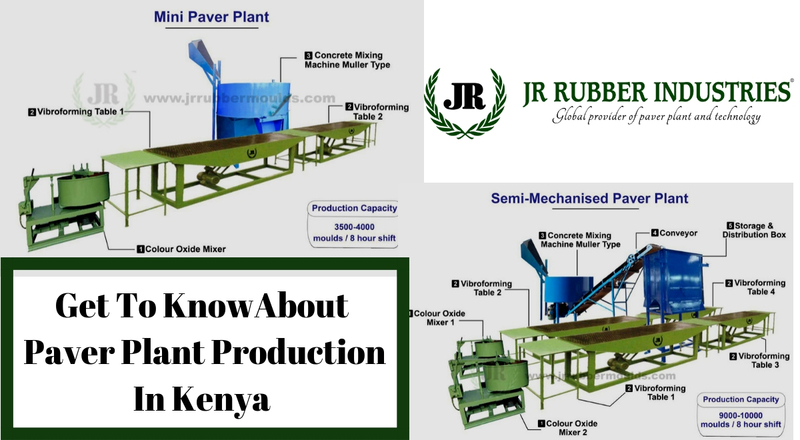 JR Rubber Industries uses Semi-Mechanised Paver Plant and Mini Paver Plant for paver block production. Now, let us take a deep look into it. 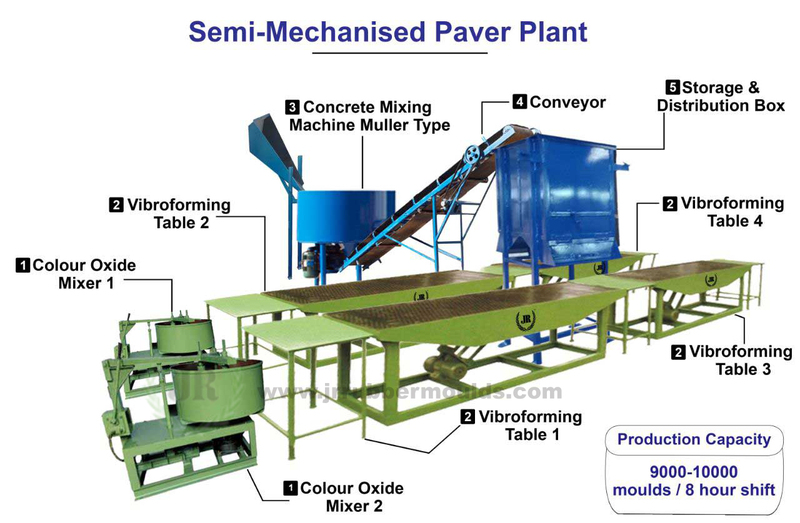 As compared to Mini paver plant, semi-mechanised paver plant possess more production capacity. This machine is well integrated with two pan mixers used for colouring, conveyor belt, four vibro forming tables, concrete mixer with hydraulic hopper and a distribution box. This vibro forming concrete tile making machine is designed in 8mm plate with 3000 drill holes. It is embedded with two 1.5 HP 3 phase motor with three Vibrofoming tables and all other attentive extras. The color mixer machine used for the color mixer in Turkey have a production capacity of 150kg per each batch and high standard 3HP electric motor for power supply. With a production capacity of 500kg per batch with a hydraulic hooper the hydraulic muller type grey mixer machine sands ahead from others. With all other concerned necessary accessories, the conveyor nylon Conveyor belt has a size of 20ft and with a 3 HP motor. Rubber paver mould concrete casting in Cambodia and many other countries are using this particular machinery features. Having dimension of 48″x height 24″ width x 48″ length. Paving block machine manufacturers in India and many other countries mainly use mini paver plants for paver production. It mainly includes a pan mixer for color mixing, a concrete mixer with hydraulic hopper, two vibro forming tables. It has 8mm plate with 3000 drill holes and a 3 phase motor attached with it. It also includes three vibro forming tables and other interested accomplices. With these machines, we can produce a large number of paving blocks in various colors, shapes, and patterns. The tile making machine is involved with the automatic movement of the rubber mould. The important parts of this machine are paver mixer machine for the color layer mix and a hydraulic muller type grey mixer with the hydraulic hopper. For efficient production advanced technical assistance is also provided along with these machines. these are the third type of machine widely used by paver mould suppliers. As it is fully automated this will helps to reduce manpower to a great extent and favours easy and enjoyable working atmosphere. This automatic machine helps in saving money and also prevents duplication of material handling. Thereby it generates a rapid increase in the production. It helps to produce well structured and fully finished products and delivers the finest quality product at the end result. 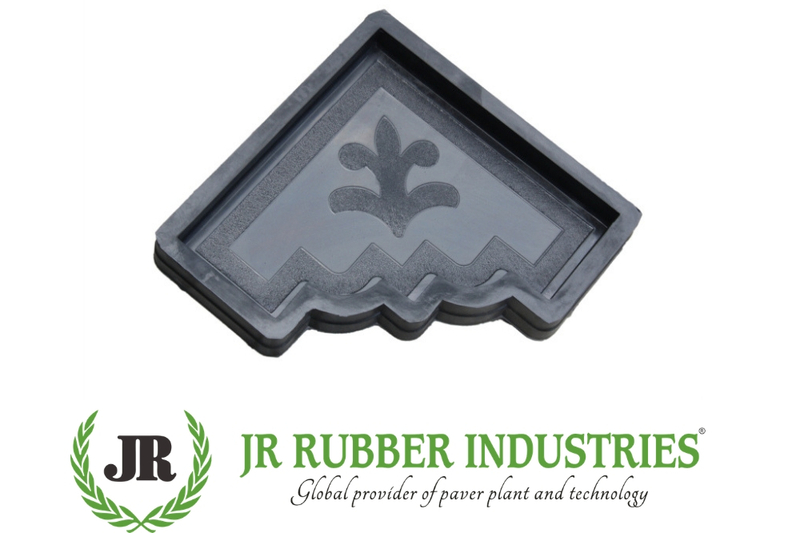 JR Rubber Industries is a well known ISO 900-2015 leading company known for manufacturing and exporting of finest quality rubber moulds for paver block design and designer tiles in Thailand, designer tiles in Cambodia and in many more countries as well as per the requirements of the customers. Vibro forming paver making tables and rubber moulds which are recently introduced into the market placed a new path for interlock paving blocks and tiles. The paver blocks produced by this technology is far impressive than the paver blocks which are produced by convention methods. 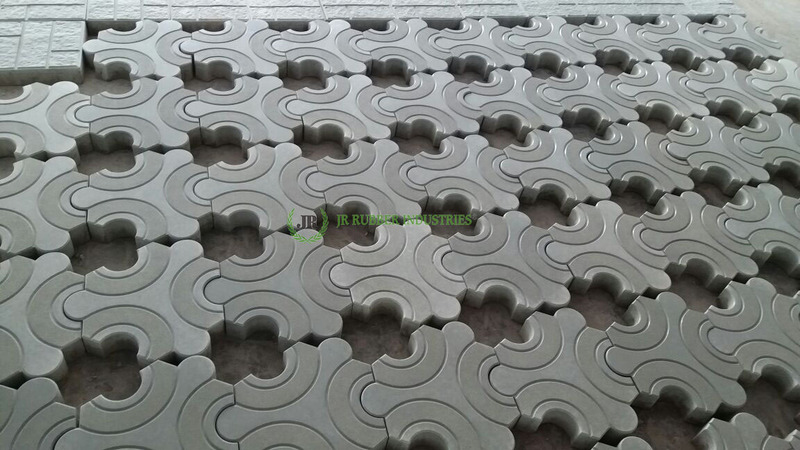 All over the world the rubber mould for paver block manufacturers turn into the eminent practice for the tile and paving block production industries. 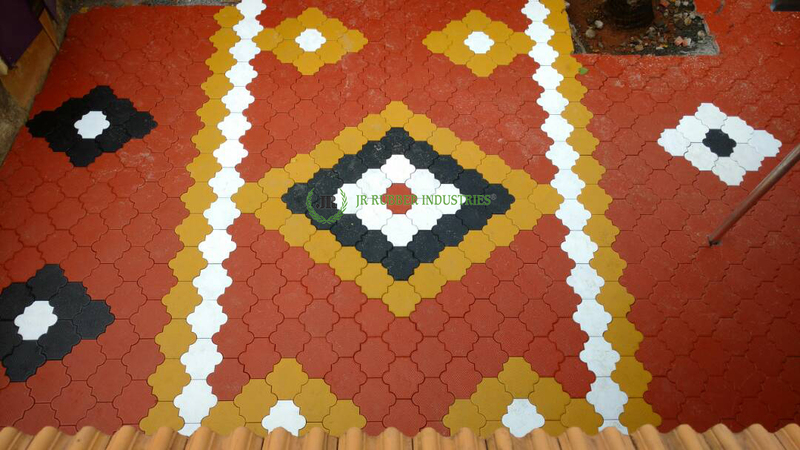 On this method paving tiles industries had experienced higher enlargement in demand. A high frequency and low intensity make the brick flawless about the resolution, endurance, and its elegance. Finest quality of tiles and blocked turns to be the latest trend in paver production in today’s market. Due to the infirmity in its product perfection and presentation, the paving blocks and tiles was trailing the previous pace. Its production beauty and the ambience makes a soaring customer preference for this product. Its products were introduced and expanded worldwide steadily. 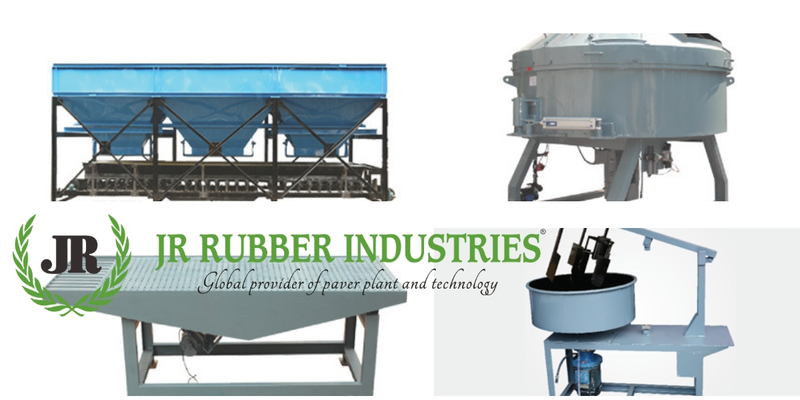 For many years we are the exceptional suppliers of rubber products with diverse product assemblage. 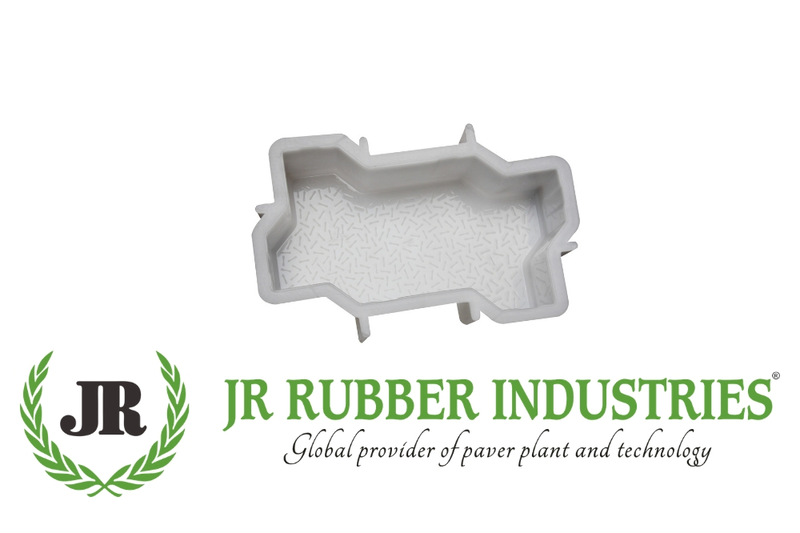 By understanding the evolution of the rubber mould used for paver block manufacturer, JR Rubbers have concentrated on the production, marketing, and export of this product. Ours is a precursor organisation occupied in the production of high quality rubber moulds since 1989. We have supplied our products more than 1500 companies all over India. Our exports have been developed into more than 25 countries and hold firm trade with countries in Indonesia, Africa, GCC, Malaysia, Vietnam etc. 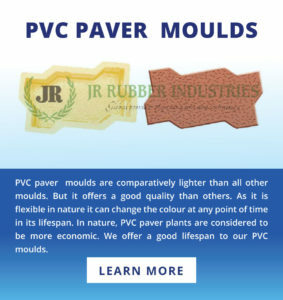 What Should Be Preferred – PVC paver moulds or Rubber mould? Rubber moulds and PVC moulds are widely used all over. The physical and chemical properties are quite different from each other but rubber and PVC alone possess its own characteristics. Different types of moulding process are casting, injection moulding, blow moulding, compression moulding, rotational moulding. 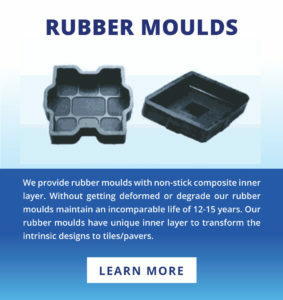 Rubber exhibits its own unique features and physical properties. Mullins effect and Payne effect are the stress-strain behaviour exhibited by rubbers. It is often moulded as hyperelastic. Rubber block suppliers comment rubber strain crystalize. Natural rubber is pliant to vulcanisation and delicate to ozone cracking due to the presence of a double bond in each repeat unit. Turpentine and naphtha (petroleum) are the two main solvents for rubber block manufacturers in Indonesia. Since 1764, the former has been in use when Francois Fresneau made the discovery. In 1779 Giovanni Fabbroni lifted the discovery of naphtha as a rubber solvent. The rubber material is finely divided by shredding prior to its immersion, it does not dissolve easily. While rubber is transported from its collection site an ammonium solution can be used to prevent the coagulation of raw latex. Expansion and contraction property of rubber make it stand out from other materials. 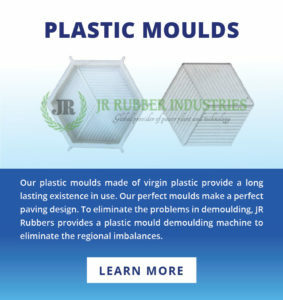 The moulding process of rubber is like pressing a block of rubber into a rubber molding metal cavity. By activating a channel reaction the rubber is then exposed to heat. Usually, allrubber block suppliers use heat and pressure method to form molded rubber products. Compression molding, injection molding, and transfer molding are the three rubber moulding process. The material doesn’t have to pass through gates, runners or sprues. Transfer moulding is a mix between injection moulding and compression moulding. A large slug of rubber is placed into a pot in this process. More than compression pieces the rubber pieces made by transfer moulding possess high quality but it is less than injection pieces. Over-molding and molding of complex geometries are supported in closed mould transfer. Get a little information about PVC..
PVC is one among the category of thermosetting plastics which can be softened by heating. PVC is the material which is long-term resistant to degradation and oxidation. In Europe, PVC is usually used for flooring, artificial leather, and decorative sheets. It is a natural resource derived from 57% chlorine and 43% carbon. This is an excellent resistant to fire, splintering, decaying, and insect infestation. Because of its cheap rate they are often used for drip edges, kick-boards, table boards. PVC is used for interior as well as exterior applications. PVC cover blocks possess high hardness. Its mechanical properties upgrade with the increasing molecular weight but it gets decreased with increase in temperature. Rigid PVC possess very good mechanical properties, 1500-3000 MPa is the range of elastic modulus and elastic strength of soft PVC is 1.5-15 MPa. Since its heat stability ios very low it needs a heat stabilizer during the process to ensure the product’s properties. When the temperature reaches 140 °C PVC starts to decompose with melting temperature starting around 160 °C. It has good flame retardancy. The LOI(linear oxygen index) is minimum(up to 45 or more). The electrical insulating property is subordinate to non-polar polymers like polyethylene and polypropylene because of its higher polar nature. It is a polymer with good insulation properties. It has high dielectric loss tangent value, dielectric constant, and volume resistivity but poor corona resistance. Generally, it is packed for low frequency insulation materials and medium or low voltage. PVC is used in sewerage piping as it is resistant to salts, acids, fats, bases, alcohols. uPVC and plastified PVC are less resistant to solvents. Some are resistant to fuel and paint thinners. May some solvents expand it or distort it but not liquefy PVC. Whereas some may damage it like acetone or tetrahydrofuran. It is a heterogeneous ultra polymerization process that uses mechanical commotion to blend the mixture of monomers. It is one among the widely used polymerization techniques. Purification and processing of the polymer is much easier than compared to emulsion polymerization. Here, the final product is a 100% solid resin. Like vinyl acetate, vinyl chloride, chloroprene, acrylamide, acrylates, and methacrylates it is the most important methods for the polymerization of a large number of monomers. It is rapid than bulk or solution polymerization at the same temperature. Harkins proposed the first hypothesis of the mechanism of emulsion polymerization. Over other polymerization techniques, mass polymerization has several other advantages. As the final product is 100% solid resin it is a very environmental friendly polymerization which does not require any purification method. Because of the lower heat of polymerization and reactivity, this is much more suited for step-growth polymers. Depending on the solubility of the growing polymer chains in the monomer they can proceed either homogeneous or homogeneous. when it is burned it emits hydrogen chloride which can pose a health hazard. PVC free electrical wire insulation is sometimes preferred in applications where the likelihood of fire is high. What are the advantages of going with PVC? It is relatively inexpensive and readily available. It is very dense and hard. It resists impact deformation very well relative to other plastics. It possesses very good tensile strength. It is well resistant to chemicals and alkalis. Due to its low-cost PVC is widely used in the sewage pipe. It chemical and biological resistant and provides easiness in joining. It is a popular material for window and door. Posted on Categories Plastic MouldsTags automatic brick making, cement brick making, color mixer, concrete mixer, curb stone, floor tile making, paver making, paving tiles, pp mould, spacer making, Tile machines, tile production, vibrating table, wall tile makingLeave a comment on What Should Be Preferred – PVC paver moulds or Rubber mould? Do you know how to get it made a custom plastic part or product? This article will guide you to choose the right type of moulding process available today to help you to discover the real process for your project. It doesn’t matter how small or large, round, square, or weird shape, flexible or stiff, already mould or not? Moulding can also be spelled as molding. It is the process of manufacturing by shaping liquid using a rigid frame called a mold or matrix. A powder or liquid polymers such as polyethylene or polypropylene is placed into a hollow mold when moulding plastics for the polymer to take its shape. Various ranges of heat and pressure are used depending on the type of process used to create an end product. Does Plastic Moulding Possess Any History? In the late 1800’s plastic moulding began to fill the need for plastic billiard balls. John Wesley Hyatt in 1868 invented a way to make billiard balls by injecting celluloid into a mould. To automate the process four years later Hyatt and his brother invented and patented the machine. Paver block machine in India, plastic moulding uses a basic plunger to inject plastic into a mould through a heated cylinder, the first plastic injection moulding machine in existence. James Hendry, in 1946 invented the screw injection moulding machine. This replaced the plunger injection technique and it is a widely used method even today. In 1855 modern rotational moulding also has a rich history when rotation and heat were used to produce metal artillery shells in Britain. In the early 1950’s plastics were introduced into the process when rotational moulding was first used to manufacture doll heads. The modern process of rotational moulding allows us to create large hallow containers with low-density polyethylene in the late 1960’s. Plastic powder developments, better equipment, process improvements have sped up the process of creating finished products and provide a path to the rapid growth of rotational moulding. Which are the different types of plastic moulding? The moulds can be remarkably knotty to ease the moulding of a wide range of products. 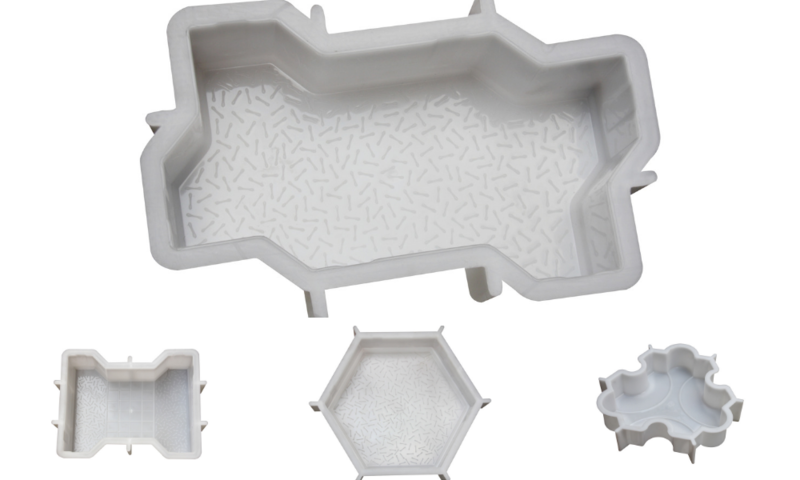 Pathway mold can incorporate curves, inserts, and contours as well as logos and slots for metal inserts or plastics to be placed after a product is moulded. 1, It is highly knotted to facilitate the moulding of a wide range of products. 3, It has lower start-up costs and runs as a cost-effective production when producing as few as 25 items at a time. Making custom plastic parts by injecting molten plastic material at high pressure into a metal mould is the real process of injection moulding. After the molten plastic is injected into the mould, he mould is cooled and opened to reveal a solid plastic part just like other forms of plastic moulding. Paving block machine manufacturers in India suggests this process is somehow similar to Jello mould, which is filled then cooled to create the final product. 1, Injection moulding is used for making very high volume custom plastic parts. 2, Large moulding machines can mold car parts. 3, Small machines can produce very precise plastic parts for surgical applications. 4, Plastic resins and additives increase the flexibility for engineers and designers. 5, PP mould is used in injection moulding for a wide range of applications. As steel and aluminum are the raw materials for making an injection mould for spacers in Bahrain they carry a hefty cost. But, the cost per part is frugal if you need several thousand parts per year. Tooling with injection moulding usually takes 12-16 weeks with upto four more weeks for production. It is a method of making hollow, custom plastic parts, thin-walled. With a uniform wall thickness, it is primarily used for making products also where the shape is important. It resembles the same principle as glass blowing. Blow moulding machines inject air blowing up the hot plastic like a balloon and heat up plastic. As it expands the plastic blows into a mould and it presses against the walls of the mould taking its shape. The part is ejected when it is cooled and hardened after the plastic balloon fills the mould. An average of 12 hour day can produce around 1440 pieces because the whole process takes less than two minutes. 1, In most cases, it generates plastic drums, fuel tanks, and bottles. 2, This is the best process if you need to make hundreds or thousands of bottles. 3, It cost less than injection moulding. 4, Blow moulding is fast and economical than injection moulding. 5, Sometimes it is as high as 6 to 7 times as much as a roto-molding tool. It is done exactly as its name suggests. A heated mould is filled with a heated plastic material and then pressed into a specific shape. The heating process ensures that the plastic retains maximum strength once the plastic is compressed into the right shape. Wet cast tile moulds in China says cooling, trimming, and removing the plastic are the final steps involved in this process. 1, Replacement of metal parts with plastic parts. 2, Most commonly used for small parts and products in very high volume. 4, Its final products are very strong and durable. 5, The opening cost of a compression mold is persistent. 6, The cost of each individual part is low at high quantities. 7, They are ideal moulding for large quantities of parts. Expect a long continuous shape extrusion moulding is similar to that of injection moulding. Another specialty is that in extrusion moulding,‘die’ is used instead of ‘mould’. By squeezing hot raw material through a custom die the extruded parts are made. To get the plastic resins into a mould for spacers in Nigeria, other forms of moulding use extrusion. This process ousts the melted plastic straight into a die. The shape of the final product is determined by the die shape. 1, Extrusion parts have a fixed cross-sectional profile. 2, They should retain the same along the length of the part. Its manufacturing process is what a plastic sheet called thermoplastic is heated to a pliable forming temperature. Paver block production in Cambodia trimmed to create a usable product from its specific shape in a mould. It comes in varieties of colors, thickness, finishes, and materials. In order to achieve the final product thermoforming uses several different types of moulds and processes. A single 3D form made out of aluminum is used to create 3D products. Moulds can be produced for a low cost using inexpensive materials, thermoforming uses low pressures. 1, Used to manufacture thin-gauge containers, lids, disposable cups, trays, blisters, clamshells, and other food and general retail industries. 2, Vehicle door and dash panels, refrigerator liners, and utility vehicle beds are the results of thick-gauge thermoforming. 3, To get a thermoform ready grass pavers mould in Malaysia takes an average of 8 weeks and its cost is purely based upon the size of the part. Bricks are used as building material for pavements and construction of houses. In India, the brick mold were used only for building to fit bricks to make houses in rural India, but now with the modern architecture bricks are also used to create pathways these days in India. It is clay that helps in the brick making in the old days, but now there are bricks made of concrete, metal and many other materials. Soon the material became a decorative item rather being used only for sidewalks. Brick making in Uganda is an art practised for a long time. The use of bricks in Uganda can be easily found as it was a rural area once bricks like fire brick, half bricks and quarry tiles are most of the bricks uses in Uganda. There were times when bricks were cheap when bricks were the only type of floor tiles and wall tiles we had in our house. Bricks are used by most construction industry as it the most durable and affordable material, different types of bricks offer you with different types of benefits, used for different purpose and according to the job. Pressing molds helps to create common burnt clay bricks. Dried and then burned in a kiln. These are the most found common bricks, they are mostly used for building and are not the type of bricks that you would use for decoration. Sand mixing with fly ash and lime with a chemical process helps you create a sand-lime bricks. Later the mix is shaped into a brick which is used for construction compared to clay bricks having a grey colour compared to the usual red, no plastering is required as their shape is the same and it also offers a better durability has also established itself a strong hold brick. Manufactured in very high temperature, unlike other bricks. These engineering bricks offer you durable bricks that provide you services like water absorption, limit strength and more. Mostly used for the construction of tall skyscrapers and buildings, with all these benefits you should know that it is also costly compared to other bricks. In India concrete paving stones and bricks are found much more compared to other, made with solid concrete and found most common brick for house builders.Unlike, other bricks you don’t get a fixed colour, you got options on concrete bricks, the color that you can select while the production of the concrete brick. These bricks are used less as they tend to pop out or get loose when they come in contact with water or moisture.Why is brick construction getting more popular nowadays? Unlike tiles or other materials, brick proves to be more durable and strong for a long period of time and is easy to maintain. Release and absorb the moisture is one of the most important advantages of bricks, controlling the room temperature inside the infrastructure. Provides you with a fireproof wall which is good for your safety. If the bricks are kept properly then they can keep you away from sound pollution for sure. Compared to other construction accessories, bricks can provide you with fewer maintenance charges which will help you save money and time. Bricks are said to be the most durable and strong material ever made by a man, so you are assured with the best material which is strong and will provide you with a long-term service. When compared to other materials bricks can exhibit above the natural thermal insulation. They can maintain and regulate interior temperatures due to their ability to absorb and slowly release heat. When compared to wood this can save more than 30 percent of energy. Brick bears as an excellent wear resistance. What are the common properties of bricks? The main properties of bricks are thermal, mechanical, durable, and physical properties. In the same country, the size of brick used in construction varies from place to place and country to country. Paver blocks in India suggests that an ideal brick will have a standard size of 19×9×9 cm. Bricks generally have well defined and sharp edges. Usually, an ideal brick has a rectangular shape. While making block mold the surface of bricks is regular and even. However special purpose bricks can be either cut or manufactured in many other shapes. Generally, these are the modifications of rectangular shapes. For color mixer red is the most common colour of building bricks. Sometimes variations may occur from deep red to light red to purple and buff. Over burnt bricks are recognized by very dark shades and also yellow colour indicates under burning. Depending upon the used clay type and the method of brick moulding like stiff-mud, hard-pressed, soft-mud etc the density varies. Flexure strength and comprehensive strength of bricks are included in this category. When bricks are used in load-bearing walls this is the most important property. The degree of burning and composition of clay is the determining factor of comprehensive strength. While considering load-bearing walls this is the most important properties of bricks. We usually say that common building brick shall not be less than 10 kg/cm2 because bricks are used in situations where bending loads are possible in a building. Bricks hold sufficient strength against oblique loads. Other than strong and hard an ideal brick also provide an adequate insulation against cold, noise, and heat. Density and porosity are directly proportional to heat and sound conductivity of bricks. Since heavy and dense bricks conduct sound and heat at a greater rate they have a poor acoustic and thermal insulation qualities. All for this we suggests that bricks should be of enough strength, light-weight, and possess adequate insulation. Durability decides the maximum time in which bricks remain unaltered and strong when used in construction. Automatic brick making is also quite popular nowadays because experience has been proved that properly manufactured bricks are the most durable form of the material of construction, that is they remain for hundreds of years. Durability mainly depends on efflorescence, absorption value, frost resistance. When the porosity is high the material becomes less solid, hence the strength will be reduced. Water-related defects like frost-action and efflorescence are the outcome of higher absorption. This will also lead to deeper penetration of water which in turn will lead to dampness. Frost action is a common phenomenon in cold climate, this is because bricks are quite porous materials. So that it should be protected in areas having rain to minimize absorption. In humid and hot climates contorting and a withering process of bricks is a common process. The surface of bricks get covered with grey or white patches of salts and these are present in the original brick clay. Salts get easily dissolved when rainwater penetrates into the bricks. Evaporation starts soon after the rain. Along with water the salt move out and form thin encrustations on the bricks surface. Sulphates of calcium, sodium, potassium, and magnesium are the common salts precipitated during efflorescence. This is the reason why great emphasis is laid while testing the chemical composition of the clay for the block paving of brick manufacturing. Bricks are the only type of construction building that provides you to shape them according to your wants, you won’t have to buy more materials and waste the left over. 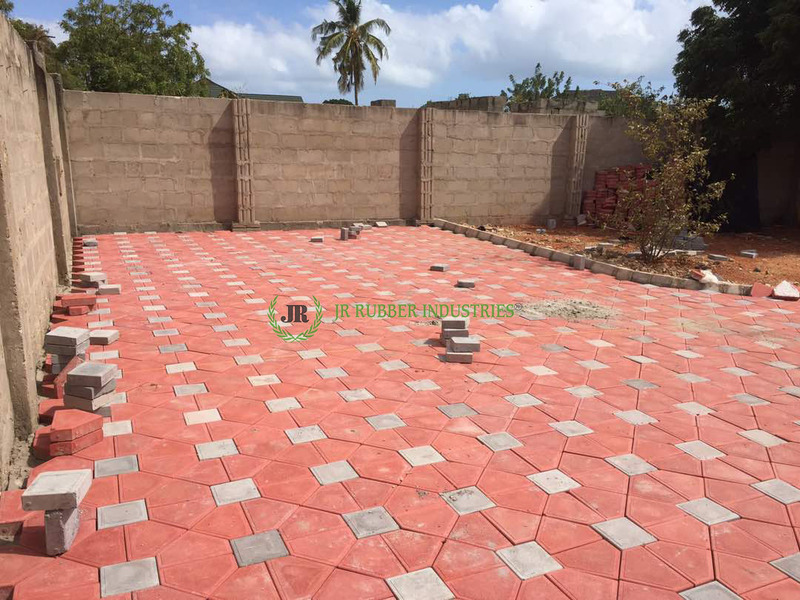 So if you have plans to construct something you wish according to your design, I suggest you to try bricks as per your construction material with the strong brick moulds from JR Rubbers. All you need to know about, Concrete paving stones. Houses have transformed from being just a roof to the identity of those who live in it, how well maintained and beautiful these house are, it will help you understand the person who lives in it. The floor tiles, wall tiles and even parking tiles on your car porch can give others a glimpse of your lifestyle. Being more colorful then brick and more durable than asphalt, concrete paving stones come at a cheaper rate as well. Concrete kerb stones are most used, as they have a durability and quality that stays long with you. There are mostly two types of concrete pavers, interlocking and architectural. Interlocking paver blocks offer you a better result they are more durable and strong every time, no matter what situation or climate, they stay attached. While architectural paver blocks they are thinner compared to their interlocking kin pavers, they cant stand heavyweights so are avoided by more clients. A better uniform joint is stiff because its made of concrete mix and good for all use including driveways. It has no edge space, molded from wetter concrete to resemble stone and is not multi purposeful, neither can be used for driveways. Interlocking concrete pavers offer a lifetime of durability for your project, it provides you with a long-time service. They can be used anywhere at any time, runways, patios, outside and inside your house also, they are stylish enough to keep your house an eye candy for a long time.All the maintenance you would need is just sweeping or cleaning them once in a week, which shows they are easy to maintain. With the introduction of paver block machine in India, its easy to install your concrete pavers by yourself, if you have a project that is small in size I suggest you install the pavers yourself and if the project is big take help from the professionals. It helps you save time and money. Once rainy season arrives, your yard tiles turn into water park with all the water and slippery. Concrete pavers provide you with a slip-resistant flooring for your safety. Unlike asphalt or poured concrete pavers, Concrete paver blocks provide you with the resilience that can help you fix the broken ones easily. Concrete pavers don’t really break allot unless something really heavy falls on them, even if they break all you have to do is take it out, then fix or replace the broken one. Do you remember the way you used to swipe your tile each time it got wet that will never happen with a concrete paver block. If the concrete paver block is branded and suits the high level in the durability test,You can make sure that you paver block would be water resistant, all you have to do is ask or check while buying you concrete paver block. Compared to other flooring accessories, concrete paving is found to be more effective and less expensive. They provide you with a better and durable flooring in a cheaper price, which is a reason why concrete paving blocks are found to be in high demand. Concrete paver blocks provide you with more option in designs and shapes for your paver project. Which actually is good unlike other options in floor accessories you find yourself with more options and better ones. These are some of the benefits of having a concrete paver block as an option in your floor accessories. Posted on Categories UncategorizedTags automatic brick making, automatic paver plant, cover block productions, curb stone, kerbstone mould, paver plant, plastic mould tile, pp mould, rubberized pvc moulds, spacer making, spacer mould, tile machinery, wall tile makingLeave a comment on All you need to know about, Concrete paving stones. Easy solution for old pavement problems. 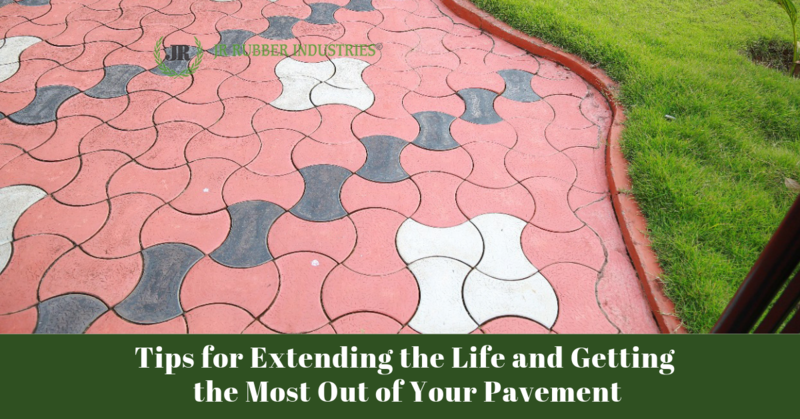 Although interlocking paver blocks are strong and durable for a long period of time, they may have certain cons or problems in them in the future that is in 5-6 years. If you are using wood, stone or tile as an option for your floor tiles or wall tiles, then I am sure that you will find a defect every now and then for these type of decorative accessories. But in the case of pavement, problems only occur very rarely, and with solutions like interlocking paver molds or better quality of paver block designs all these problems can be easily dogged or solved in the mere future. Problems and solution for old paver blocks. It’s impossible for weeds to grow under paver blocks, as the soil and other factors like sunlight and water is impossible to reach under, but however after a period of time, the weed seeds can adore at the sides of the paver blocks, as after a period of time of 5-6 years, these joints start to create flow between them, which results in weed growth. 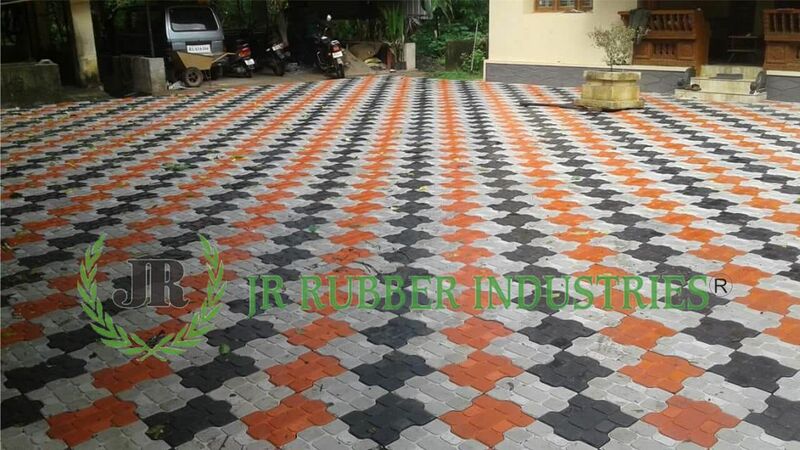 Today’s day there are sand stabilizing compounds and polymeric materials available in the modern construction market that can provide with a better joint for your pavement and if you appoint an expert constructor like JR Rubbers, your paver blocks will remain strong for a long period of time. If you use pavers as a parking tiles option, you might find out many paver blocks are stepped in or either has gotten loose, due to the weight and the frequent movement of your vehicle on them, which can result in a very annoying design and the noise is unbearable. Nowadays contractors who take up the construction of the driveway with paver blocks, know how important these paver blocks are and what significance they have. Contractors make sure that they dig right and sufficiently for your pavements foundation so that they can be used for a long period of time. The use of better quality and durable paver blocks are available in the market, the use of strong paver blocks can provide you with the least chance of a mismatch or mispositioning of paver blocks. Just like other problems are natural, this is a natures creature who provides us with a problem. Old paver blocks often are seen to be with an ant whole or with an ant kingdom on them. Which is considered to be ugly, with all the sand and ants running around. As mentioned above all the new sand stabilizing and polymeric sand, can not only provide you with a better chance to have a strong joint but can also provide you with a better chance to keep the ants out. Having tire marks on your paver design can be artistic if you like to have a busy or race car design for your paver block. The tire marks are those stains that remain on your paver block due to the frequent use of your car or due to harsh parking people do on your pavement. Tire marks or stains are not seen as a big problem these days, with the introduction of stainless paver blocks and easy to clean chemical products that can provide you with a lotion to clean your paver blocks and keep the spark alive in them. 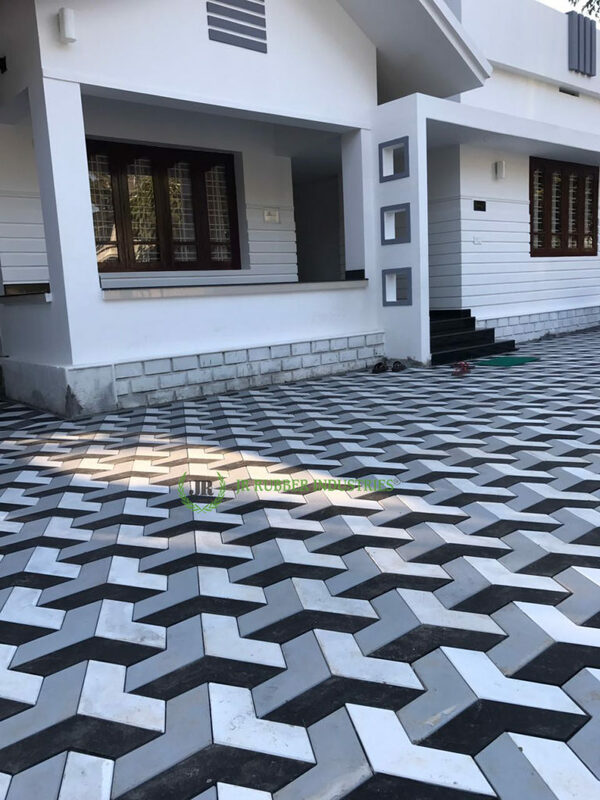 While paver’s offer you a wide range of options in shape and design’s you get a lot of option in the color type you wish to have, but soon the design and the color indeed do fade away, due to the frequent people walking over them and due to the climate or different temperatures. Fade-resistant paver blocks are available today in the market, that can take a very long period of time to fade away. With the introduction of various chemical coating over your paver tiles can provide you with the best fade resistant option. These are the following Solutions for the problems one face with paver blocks and which can be easily solved. Posted on Categories UncategorizedTags automatic brick making, automatic paver plant, cement brick making, color mixer, concrete mixer, floor tile making, parking tile moulds, paver making, paver plant, paver productions, paving tiles, tile machinery, tile production, vibrating table, wet cast tilesLeave a comment on Easy solution for old pavement problems.